History and culture collide in the scenic Pocono Mountains town of Honesdale. A rich sense of community makes this walkable downtown a wonderful place to spend a weekend or more! From fine art and architecture to stunning hillside scenes, there’s so much to admire around Honesdale! Known as the “Birthplace of the American Railroad,” Honesdale welcomed the first steam locomotive to run on US commercial tracks in 1829. Since then, the town has embraced its old-time charm while welcoming modern amenities into the mix. Museums and sanctuaries preserve pieces of Honesdale’s history while its historic buildings complement modern markets, eateries and boutiques downtown. Experience this eclectic mix of old and new during a day, weekend or vacation in Honesdale. Click to view the Visit Historic Honesdale brochure. Stay close to the action, or get away from it all! Honesdale is home to a variety of accommodations that allow you to enjoy as much or as little activity as you like. Recreation opportunities abound in Honesdale. Parks, paths and waterways surround the town, creating scenic avenues for hiking, biking, boating, rafting, fishing, bird-watching and other adventures. 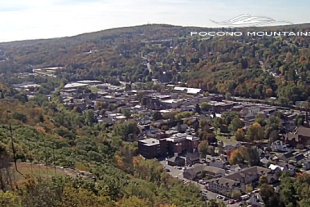 Catch a glimpse of downtown Honesdale PA, the birthplace of the American Railroad. There are many ways to enjoy a family day in Honesdale. Spend some time in the great outdoors, or visit a museum in town. Honesdale hosts a variety of family-friendly events each year, including music festivals, seasonal celebrations, fairs and train excursions. Honesdale is filled with lovely local shops offering items from antiques to sporting goods. The town is also home to many museums, including the Dorflinger Glass Museum and the Wayne County Historical Society. Grab a quick bite during a day downtown or unwind and dine at a family restaurant. 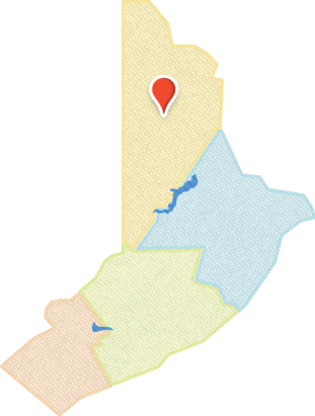 Honesdale is home to a range of dining destinations. Honesdale truly is a Winter Wonderland. In fact, the town’s snowy scenery was the inspiration for the popular holiday tune of the same name. When the weather turns cold, snowsports like sledding, cross-country skiing and snowshoeing are popular pastimes. The Lackawaxen River is a top destination for eagle-watching, which peaks in January and February.